The city of Belfast is one with a rich, if somewhat tragic history. As you might expect with any old city with its fair share of tragedy, Belfast has plenty of ghost stories to tell. 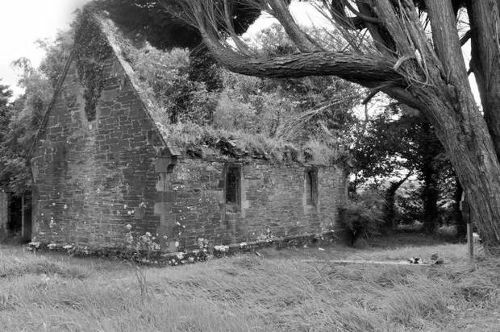 However, one of the most striking ghostly tales from Friar’s Bush Graveyard relates not to something that happened within the graveyard, but underneath it. 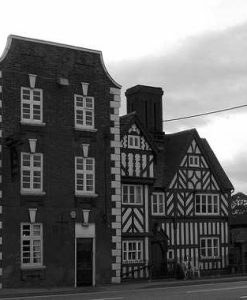 The David Kerr building sits across from Friar’s Bush Graveyard. The building is part of the Queen’s University and there is an underground tunnel that connects the building to the nearby Ashby Building, which is also part of the university. In the late 1990s, a worker in the tunnel reported feeling unseen hands touching him. This has happened on several occasions along with disturbing cold spots. In fact, most of the university staff point blank refuse to even enter the tunnel! 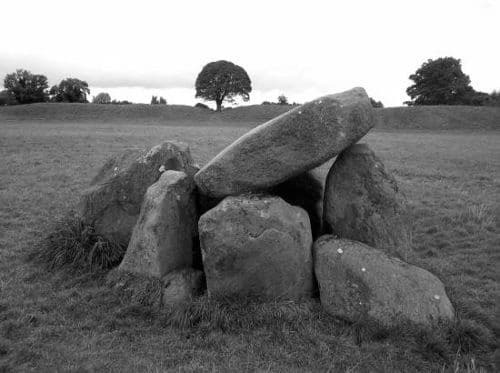 The Giant’s Ring is a pre-Christian religious site which sits in the foothills surrounding Belfast. It is believed to date back as far as 2700BC which makes it even older than the Pyramids in Egypt! The site is believed to have been used by a cult of some kind in veneration of the dead. This is just one of many Pagan sites around Ireland and it had been avoided by Christians for many years now. 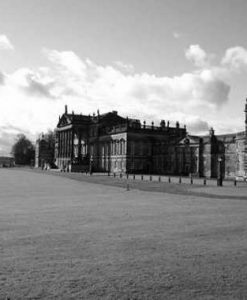 It was used as a racecourse for a time in the 18th century, but from the 20th century onwards it has been declared a heritage site. The Giant’s Ring is not without its tales of a spooky nature. In the early nineties one family reported deep, impenetrable mist suddenly engulfing the area. When they tried to leave, no matter which direction they moved in they always arrived at the central standing stone! There are also various stories of The Giant’s Ring being used by a variety of cults for sinister rituals and possibly even human sacrifice. 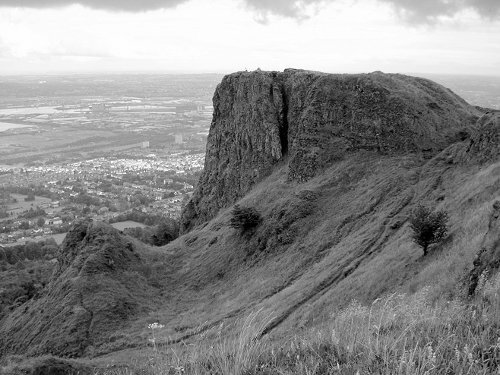 Cavehill has been linked to some very interesting Paranormal activity as far back as the 1900s. The story goes that in the middle of the night, an eerie wailing could be heard coming from the woods at Cavehill. Some locals set out to track down the cause of the wailing, but whenever they seemed poised to reach the source it would stop and then start all over again elsewhere! They never did find the source! A few years down the line a couple who were out walking in the woods reported seeing a man floating among the trees! In 1922 another couple who were out walking stumbled upon a human skull. When the RUC came to investigate these claims, they uncovered a complete skeleton. In time, the skeleton was identified as being the remains of John Scott, a man who had gone missing several weeks earlier. He had gone to Cavehill to commit suicide. Once the remains were given a proper burial the paranormal activity semed to stop. 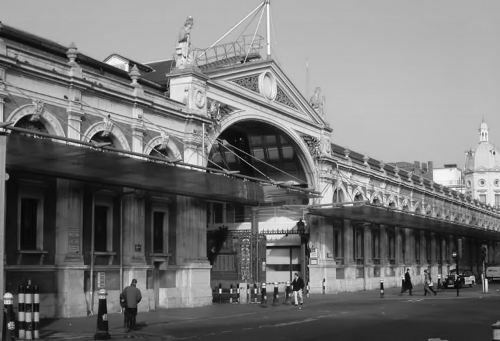 The Smithfield Market lies behind Castle Court Shopping Centre ans is allegedly haunted by the spirit of a young woman who drank herself to death. Her name was Biddy and she was in love with one of the market stallholders. However, he was an ambitious man and was soon leaving to chase bigger dreams – unfortunately resulting in his death. A heartbroken Biddy turned to drink. Some say that she intended to drink herself to death in order to reunite with her lover in heaven. Unfortunately, although she got the death part right it seems she didn’t make it to heaven and her Earthbound spirit still roams the market always looking for her lost love. 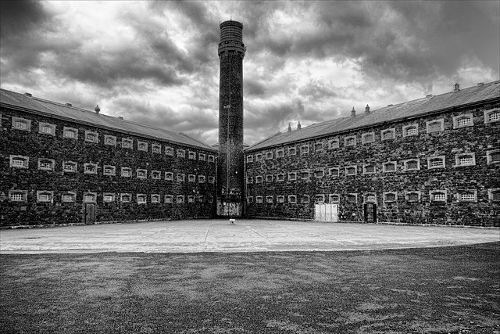 One of the most famous spots in haunted Belfast is probably the Crumlin Road Gaol. The jail was in operation from 1846 until 1996 and it housed some of Belfast’s most notorious inmates! Crumlin Road has something of a reputation for being a place where multiple prisoners were executed. However, the reality is that only a tiny percentage ever met the hangman at Crumlin. Of the thousands that were incarcerated there over the years, just 17 men were hanged. However, Crumlin Road Gaol did play host to some of Ireland’s most famous criminals including Ian Paisley and Martin McGuinness. However, these days Crumlin Road Gaol is more famous its ghostly inhabitants. In fact, the prison is now the site of one of Belfast’s best ghost tours! There are many ghosts that call Crumlin Road Gaol home. Amongst the spooky stories is the tale of an American Jew who was apparently hanged at the prison for a crime that he did not commit. His ghost has been seen multiple times walking around the prison wings and iron walkways. Another tale is that of a young boy condemned to meet the hangman who ended up committing suicide instead of facing the gallows. In the nights leading up to his death the youngster would cry himself to sleep and his anguished cries shook even the most hardened of inmates. His cries can still be heard in the prison from time to time during the night. However, unexpectedly the majority of ghost sightings reported at Crumlin Road Gaol are actually prison wardens rather than inmates. It seems that they have continued to patrol the prison long after it closed its doors! 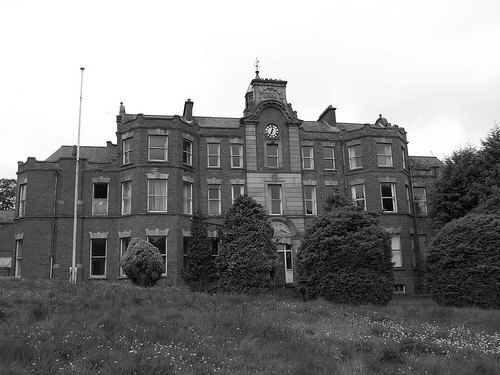 Another of the most haunted places in Belfast is Belvoir Park Hospital. On the surface, Belvoir Park is a beautiful expanse of picturesque woodland which is an idyllic place to enjoy a walk. In fact, it is a particular hotspot for dog walkers. However, there is a darker side hiding in those trees! Belvoir Park Hospital was founded in 1906 as Purdysburn Fever Hospital and was renamed in the 1960s. For some time Belvoir Park Hospital was the only radiotherapy hospital in Northern Ireland. Safe to say the hospital has seen it’s fair share of death. Belvoir Park Hospital closed its doors in 2006, but it was kept intact in order to serve as an isolation centre in the event of an outbreak of infectious disease. 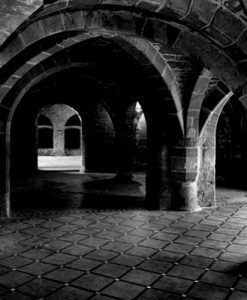 Security was brought on site in order to protect the building, but pretty soon the guards started to report strange shadows moving around the building. The guards are never able to catch them. However, what is more disturbing is that they also started to find small shrines around the grounds, especially close the the stream. They have also been discovering mutilated animal corpses intermittently. 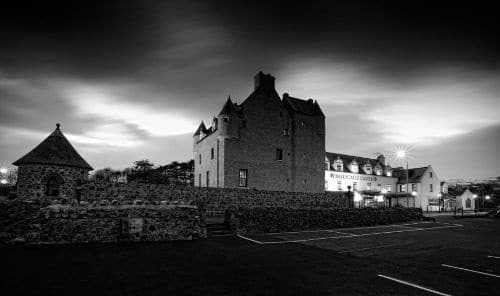 Ballygally Castle was built in 1625 and has been at the centre of plenty of trouble over the years! It is more or less expected that castles will have a resident ghost, but what is so unique about the ghost of Ballygally Castle is that she has been haunting the place for more than 400 years! 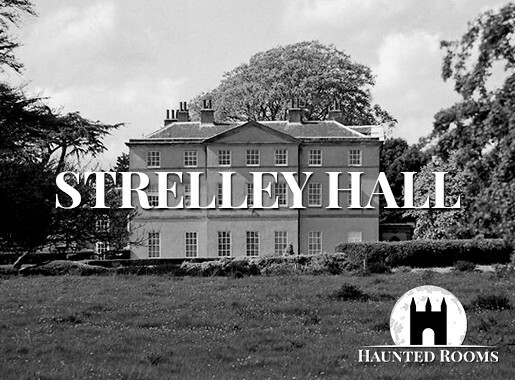 The ghost in question is believed to be Lady Isobella Shaw, wife of Lord James Shaw. There are two theories about why Lady Isobella haunts the castle. 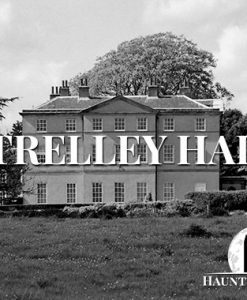 The first story is that as soon as she delivered Lord Shaw his heir, he locked her in a room at the top of the castle and during an escape attempt Isobella fell to her death. The other theory states that Lord Shaw himself either threw Isobella to her death or paid someone else to do so. Either way, she is seen wandering the castle looking for the son that was snatched away from her. She is said to be friendly enough and the castle is proud of her – even dedicating a room in one of the towers to her. There have also been reports of unexplained noises around the castle and a mysterious green mist.